THE hallowed slopes of Celtic Park are famous for their noise, colour and passion. However, for children and young people living with autism, an altogether quieter space is required for their piece of Paradise. 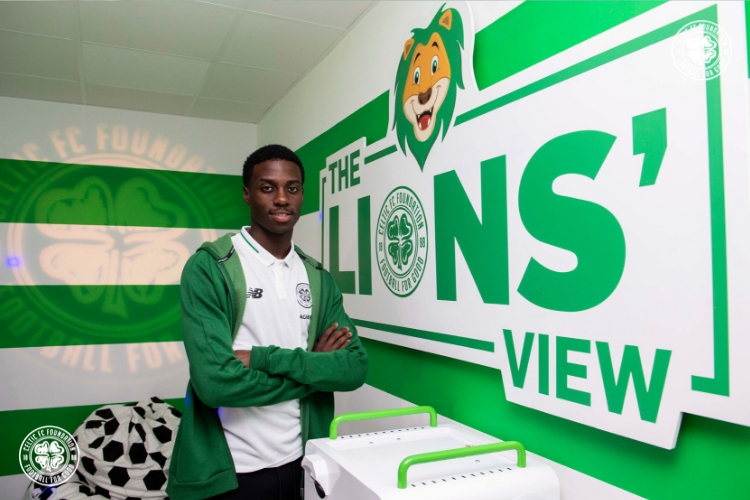 Today, marking World Autism Awareness Week 2019, Celtic FC Foundation is delighted to announce the opening of The Lions’ View Sensory Room. Situated in Celtic Park’s Lisbon Lions Stand and overlooking the pitch, The Lions’ View Sensory Room is a safe space for children and young people living with auditory, visual or sensory disorders, including autism and similar conditions. As well as providing a soundproof viewing area for 15 people, the space features a host of state-of-the-art equipment designed to foster a calming, interactive environment to learn, develop and grow. Planned in extensive consultation with leading industry experts and service users, The Lions’ View Sensory Room will allow children and young people to learn and develop in real world scenarios, such as those typically encountered in a footballing environment, while accounting for their needs and any sensitivities. Celtic FC Foundation’s Sensory Room has also drawn praise from equality organisation, The Shippey Campaign – a group advocating for the implementation of Sensory Rooms in football stadia across the UK. Peter and Kate Shippey, founders of The Shippey Campaign, said: “Celtic FC Foundation's Sensory Room will be a welcome addition of significant benefit to many supporters, who up until now may have struggled, or not been able to watch live football inside the stadium. It has been a pleasure to support Celtic FC Foundation throughout this development, and we will continue to support them going forward." "None of this would be possible without the generous support we receive from Celtic supporters worldwide, and once again, I’d like to thank them for backing this vision. I would also like to pay tribute to the Lisbon Lions for their tireless work during the #LionsLegacy campaign. The name of this facility recognises their contribution and is symbolic of everything they do for Celtic Football Club and its charitable arm." Many people have expressed an interest and demand for this service will likely outstrip supply, and as such, the Foundation will prioritise participants from our own projects, including Ability Counts. However, there will always be additional spaces available for children and young people – and one accompanying guardian – not currently involved in with the Foundation’s project delivery. In the near future, we anticipate the venue becoming multi-purpose, with greater access on non-matchdays for participants living with dementia and Down’s Syndrome, as well as other groups. - The parent/guardian is responsible for their child’s well-being at all times while using the facility. - Only one parent/guardian is allowed to accompany their child/young person. - Places will be allocated on a ‘first come, first served’ basis. - Access will only be granted to children/young people with sensory requirements. - If placed on the facility’s waiting list, you’ll ascend each week until selected to attend a match. Following use, participants will go to the bottom of the waiting list. - Indoor view of the match from Celtic Park’s Lisbon Lions Stand. - Access to the facility will be granted one hour before kick-off, with the Sensory Room closing one hour post-match. - Opportunity to use the Sensory Room’s interactive, social and learning amenities. - Celtic FC Foundation Community Coaches will be on-site at all times and the facility will be fully staffed. The facility is free of charge for service users and will be available to use on home matchdays from April 6, 2019, with the inaugural fixture taking place this Saturday against Livingston.